I get a lot of subscription boxes in the mail. And often, I’m a little perplexed about some of those items. But I think the box I got today took the cake. It had a coffee mug with the handle broken off. But that wasn’t the weird part. This was. Have I been doing it wrong all along?? 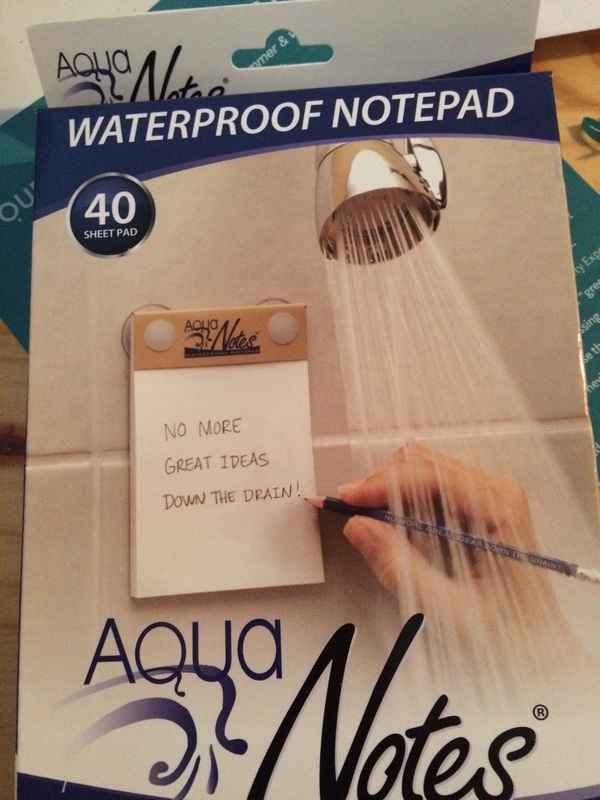 Am I supposed to doing all my deep thinking, budgeting, meal planning, etc in the shower? Or is this so when I put a face mask on, I can doodle and draw pictures? Shower Art? What would you use this for??? ?